Watercolour has been my favorite pass time and profession since 1961. From landscapes, buildings, riverscape to wildlife, I managed to experiment with different techniques and methods of painting. Some learned through observing paintings of established artists, while the rest were attained through the hard works of experimenting. 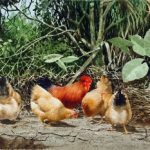 Through experimenting with different ways of painting, I have managed to gather some experience in controlling different types and sizes of brushes, the mixture of paints, using papers of different textures and materials, some techniques of painting outdoors and indoors. Watercolour art has given me rooms to create and express my emotions and sentiments. 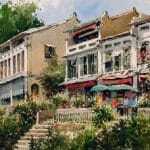 I have been addicted to the art in the pleasure and focus derived from art painting. During the creation of an artwork, which requires focus and attention on what I paint, whether it was as long as hours or as short as minutes of attention on the interaction between paper, paints and brushes, I have learned to enjoy the repetitive movement of my painting brushes moving back and forth between the palette and paper. Watercolour art has helped me to develop better patience and perseverence to accomplish the fruitful completion of my own creation. Watercolour painting gives me great satisfaction, other than completing a new painting, is seeing how art lovers learn the painting skills and eventually master them. I have seen different batches of artists grown in their skills from my lessons, and develop their own styles of painting. For the coming months, I will be spending more time in compiling some of my painting experience into more digestible information, which may not come in a form of instruction but rather a sharing session of my self learned technique. Hoping to share these information with aspiring young artists and the painting community. I would like to sharing here some painting tips which I think would be useful to fellow painters who are picking up watercolour as a hobby. 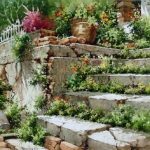 While learning painting was a slow and long journey for me, with the advance of modern technology , I was glad to find many related magazines available in the market with great painting tips and techniques shared by professional artists around the world. I had my pleasure sharing some of my painting moments in the International Artist Magazine(45 Oct/Nov 05). 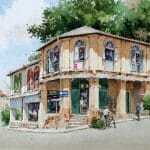 Exhibitions had been my learning ground of watercolour painting from other artists. I had developed this habit of observing and studying the artworks of other painters since my beginning of learning watercolour as early as in the 1960s. While participating in joint exhibitions have been one of the ways for me to share with others my completed paintings, I have yet to organize any solo exhibition for my collection of artworks created through the years. Exhibitions are good opportunities for artists to showcase their recent artworks and earlier creations. My gallery here to see some of my oldest collections in the form of portrait, landscapes, buildings and wildlife and other topics I find interesting. I’m contemplating organizing some painting workshops for art lovers whom would like to find out more about watercolor painting, when circumstances permit with the right choice of place and organizing team available. 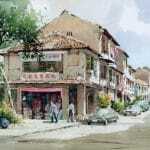 If you like to find out more about watercolour community in Singapore, please visit watercolour society website here. Hello. Lovely paintings. Are these on sale? 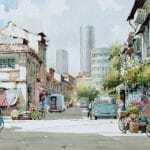 Is there a studio or someplace I can visit to see and buy the paintings? 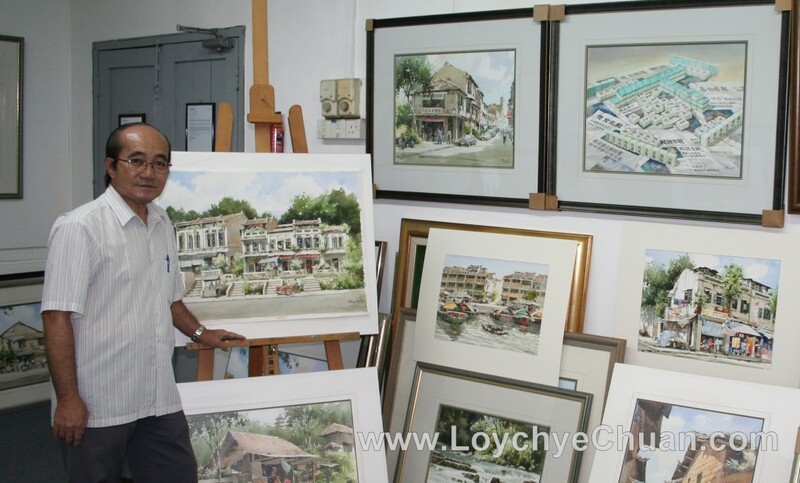 Feel free to drop by Mr Loy’s studio at Telok Kurau Studio, 3 level, unit 307 after the CNY break. He will be available at the studio next Monday onwards daily after 2pm. Where can I purchase your book, Watercolor World? Thanks for the purchase at our online store. We will deliver the book next week.